As readers may remember, I began writing about the best hotels in Istanbul and made a list of the best hotels in Beyoglu, Sultanahmet, and the Istanbul Asian Side. (Links at the bottom). And I saved the fun part to the last part. 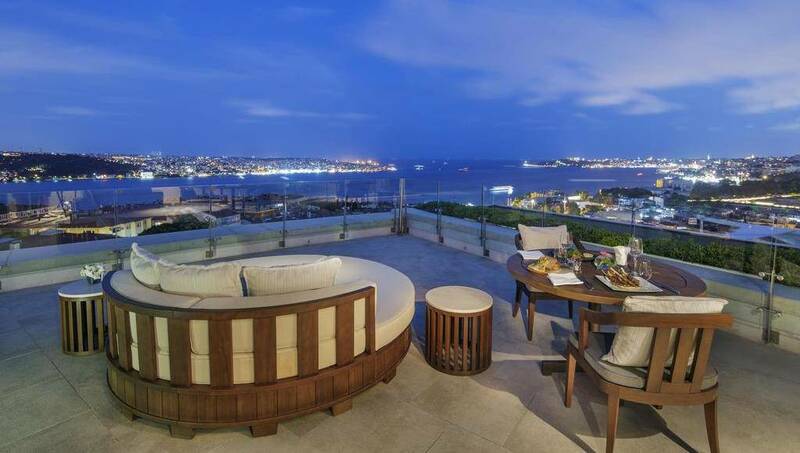 In this post, you can find the best hotels in Istanbul with Bosphorus view. In addition to the names of the best hotels with a Bosphorus view, you can also find their features and the awards they’ve been awarded so far. 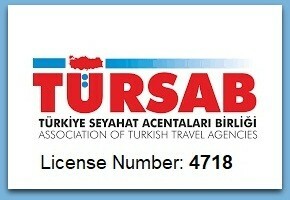 I hope this post will help you in your search for a hotel in Istanbul. Swissotel the Bosphorus was awarded “Safe Hotels Executive” certificate in 2016-2017 and it boasts 566 rooms and suites with special facilities. This 5-star hotel is located in Macka and it’s walking distance to shopping centers and areas where you can enjoy the nightlife. There is a café in Swissotel named Café Swiss that offers a panoramic Istanbul view. You can enjoy brunch here on weekends and try Turkish, Swedish, and world kitchen. 16 ROOF is also popular in summer with its Bosphorus view while an authentic restaurant that offers dishes special to the Alps, and Les Ambassadeurs Bar, where you can enjoy jazz music, make Swissotel different from many other hotels in Istanbul. Swissotel the Bosphorus also one of the oldest hotels in Istanbul and thanks to all of its features, it deserves to be on our Best Hotels in Istanbul list. Grand Hyatt Istanbul was renovated in 2012 and it serves in its 10-floor building that boasts a traditional architecture style. The hotel is close to restaurants, entertainment areas, bars and it’s walking distance to Taksim Square, shopping centers, and malls. 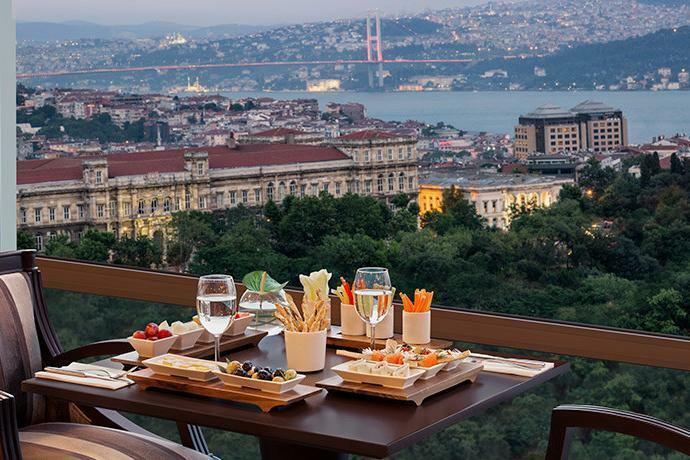 Grand Hyatt Istanbul has 360 rooms, some of which offer a park view. The hotel is designed in a modern style that is decorated with marbles. In addition to its restaurant that serves Mediterranean cuisine, you can enjoy its terrace at Mezzanine Bar where you can listen to the piano performance and live music. If you like Japanese food, you can also choose to visit Sushi Bar City Lights Restaurant that is only 150 meters from the hotel. Grand Hyatt Istanbul is a one-minute walking distance to Taksim Metro Station’s Gezi Park Exit and you also have an option to rent cars and bicycle in the hotel. It’s also 25 minutes’ drive from Ataturk International Airport. If you have a child, Grand Hyatt Istanbul offers babysitting service for free. Moreover, Grand Hyatt Istanbul offers fitness and yoga classes as well as steam rooms and facial treatment service for your comfort. 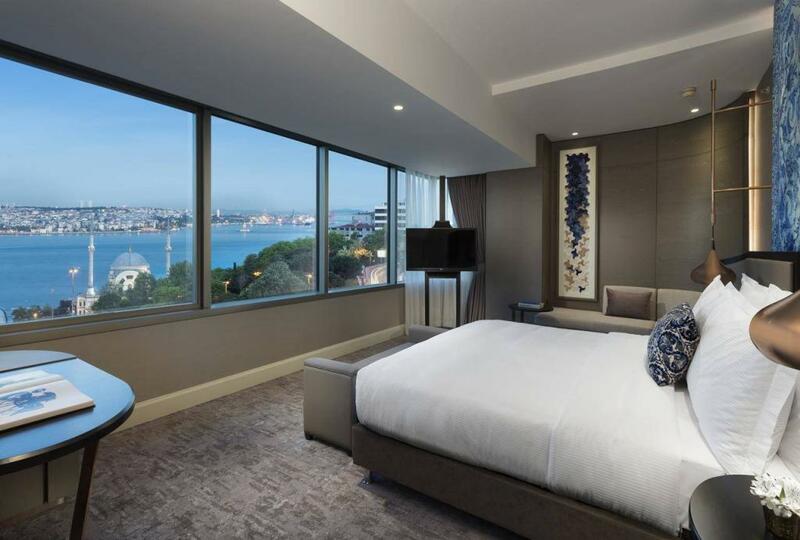 Hilton Istanbul Bosphorus is located 10-minute walking distance from Nisantasi and Taksim, which are the most popular shopping and touristic centers on the European side of Istanbul. 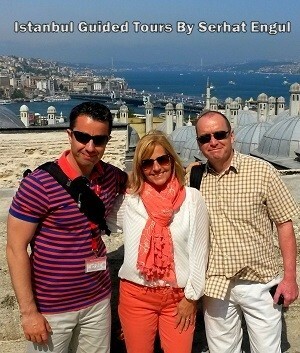 The hotel also overlooks the Bosphorus. All of its 500 rooms offer a special balcony or terrace and you can try Bosphorus Terrace Restaurant that offers dishes from the Turkish and Mediterranean kitchen, Veranda Bar&Terrace, Lobby Lounge&Bar, Dragon Restaurant that offers Chinese cuisines, and Indian restaurant named Dubb Indian. The hotel also has outdoor and indoor pools, a fully equipped health club, tennis court, and 24-hour open fitness center. Therefore, Hilton Istanbul is one of the first hotels that comes to mind when it comes to Best Hotels in Istanbul with Bosphorus View. Divan Istanbul is located in Taksim and it’s 25 km from Ataturk Airport and 40 km from Sabiha Gokcen Airport. The hotel offers standard, deluxe, and junior rooms in which you can find bed heads designed with fine details and inspired by Ottoman style. Additionally, you can also see glass table lamps designed by glass expert Robert DuGrenier to make the rooms colorful and brighter. You can find a rich menu and such local delicacies like lahmacun (Turkish pizza) and kebab at Divan Pub where a famous Turkish painter Necdet Kalay’s paintings are displayed too. Divan Restaurant is already among the best restaurants in Istanbul where you can try different cocktails and the best examples of the Mediterranean gourmet kitchen. Divan Istanbul also consists of some other places such as Maromi, famous Divan Patisserie, and Lobby Lounge where you can find a rich menu that includes different options like gourmet green cheese plate or New Orleans style seafood poh-boy sandwich and you can definitely find food and drinks to your taste at Divan Istanbul. 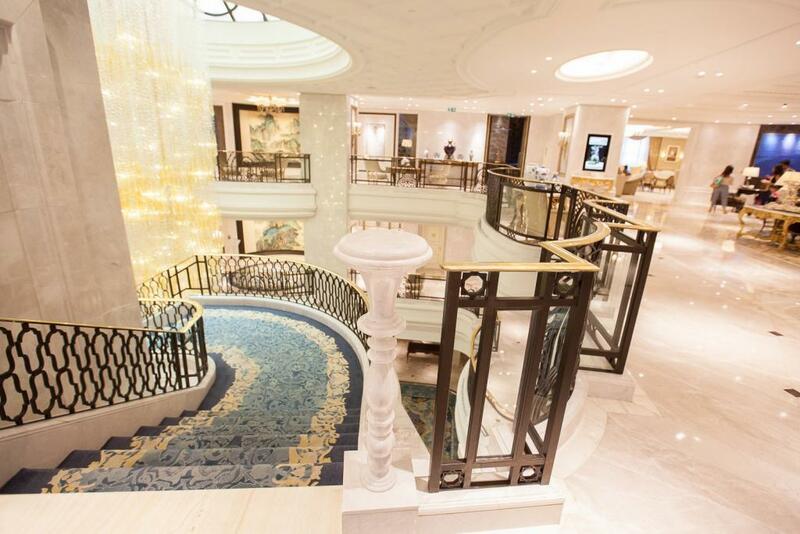 The Ritz-Carlton Istanbul is located in Dolmabahce neighborhood and it boasts a modern style with Ottoman touchup. The hotel has 243 rooms and 23 of them are suites. The hotel opened the first open-air spa of the city named Spa Soul and apart from its spa, you can enjoy Turkish bath, indoor and outdoor pools, and fitness center at the Ritz-Carlton too. If you are a fan of wine, you can try one of its 150 local and international wine brands kept in its cellar, enjoy Atelier Real Food Restaurant with Bosphorus view, sip your drink at Bleu Lounge while you enjoy the Mediterranean themed appetizer and enjoy the city and Bosphorus view at The Ritz-Carlton Istanbul. 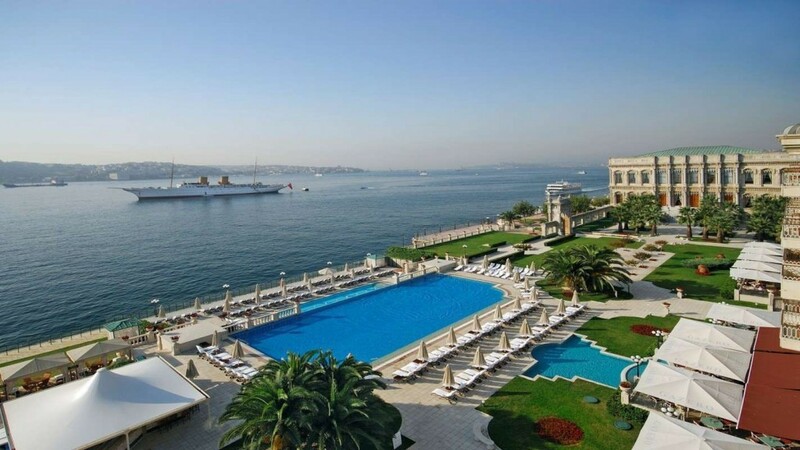 Shangri-La Bosphorus is located by the coast in Istanbul and it serves its guests with 186 rooms and suites. IST TOO serves all day long and it has a wide range of dishes, be it Japanese Sushi Bar or other Asian and Mediterranean dishes. Additionally, you can find Chinese food at Shang Palace that offers special dishes from “Special Cantonese” kitchen or you can try Lobby Lounge where you can have your lunch or afternoon tea served with tapas and enjoy your stay at Shangri-La Bosphorus Istanbul even further. Moreover, Dolmabahce Palace and Nisantasi, famous for its luxury boutiques, are walking distance to Shangri-La Bosphorus Istanbul. Shangri-La Bosphorus Istanbul was awarded “Best Hotels in the World” award too. And if you wish to treat yourself, you can try its Turkish bath. Bebek Hotel is located in the heart of Bebek Bay and it has been in service since 1955. The hotel went under restoration and it was renovated to make its guests feel comfortable and feel like home. You will feel like in the middle of Bosphorus while you stay at Bebek Hotel that has 12 rooms with city view and 9 rooms that have a Bosphorus view. In total, the hotel has 21 boutique rooms. Additionally, it impresses the guests with its British style classical furniture and a dynamic sitting area. We should also note that Bebek Bar in Bebek Hotel is among the world’s most premium bars in the world. Bebek Bar was opened in 1978 and it offers the best view of the Bosphorus in Istanbul. If you stay at Bebek Hotel, you should definitely try Les Abassadeurs Restaurant and enjoy its rich open buffet, breakfast, and lunch prepared by award-winning chefs. Its rich menu offers a lot of delicious options for its visitors. 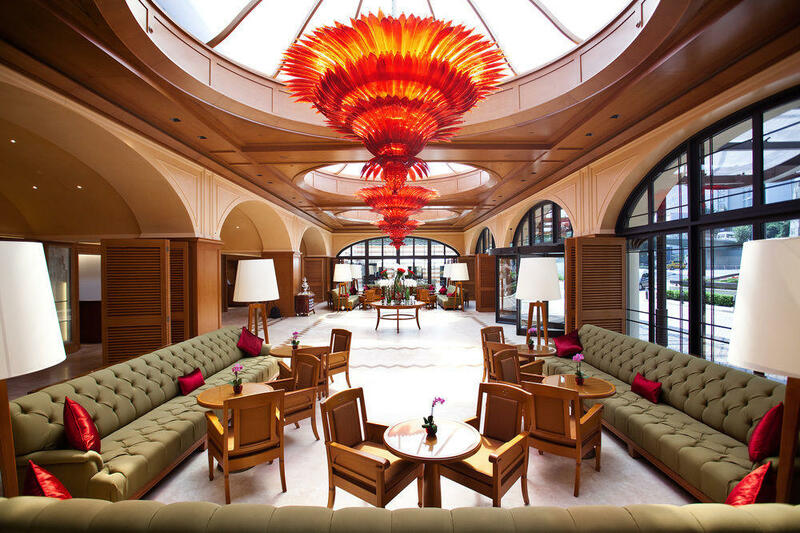 The Grand Tarabya Hotel is Istanbul’s one of the first 5-star hotels that blend classical and modern style. The hotel is in service with its 168 deluxe rooms, 79 suites, 1 imperial suite and 30 special rooms. 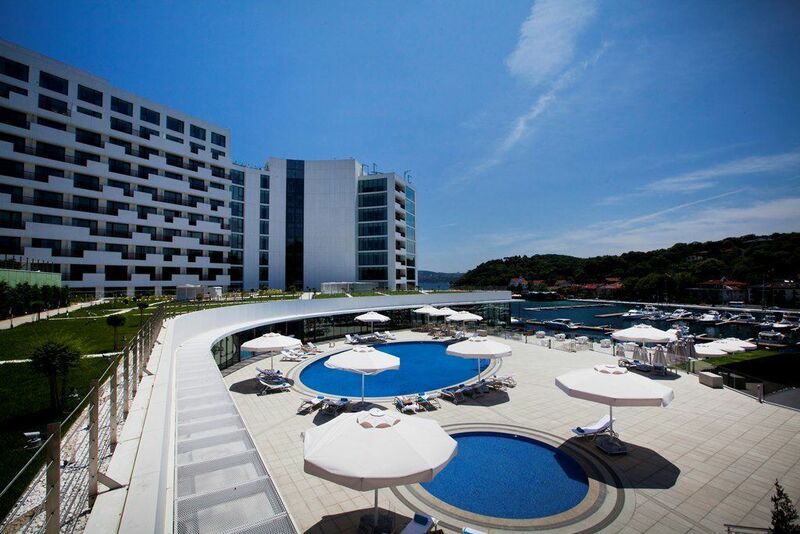 The hotel is located in Tarabya Bay that stands out with its fish restaurants and marina. You can have an unforgettable breakfast at The Brasserie that boasts an amazing Bosphorus and marina view or you can opt to have lunch or dinner there. At Diba Bar on the second floor of The Grand Tarabya, you can try international wine options, champagne, and cocktails while you also enjoy the Bosphorus view and watch the sunset. Furthermore, if you wish to keep your form, you can refresh yourself with fresh options and healthy dishes at Pool Bar that is open in summer. Additionally, you can pamper yourself and relax at Therapia Spa, indoor and outdoor pools, facial and body care options on its 4500 square meter area. 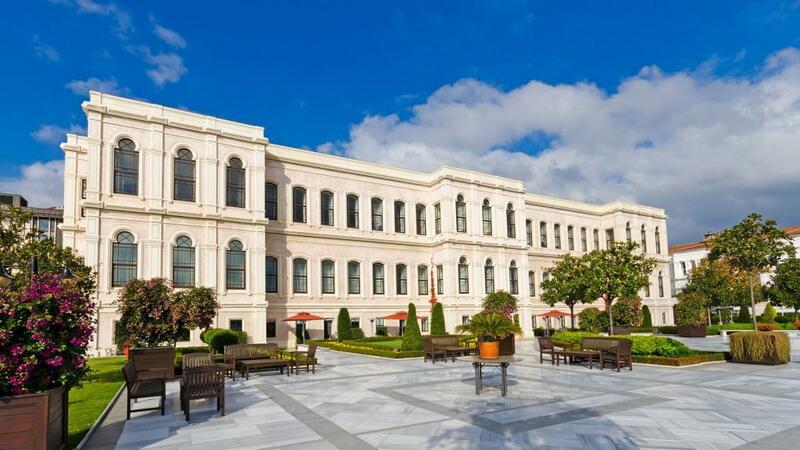 Ciragan Palace Kempinski is located between Besiktas and Ortakoy and it’s a part of a palace from the Ottoman era. While the rooms on the back side of the hotel overlooks Yildiz Palace and Park and Ciragan Street view, Asia side can be seen from the rooms that offer Bosphorus view. 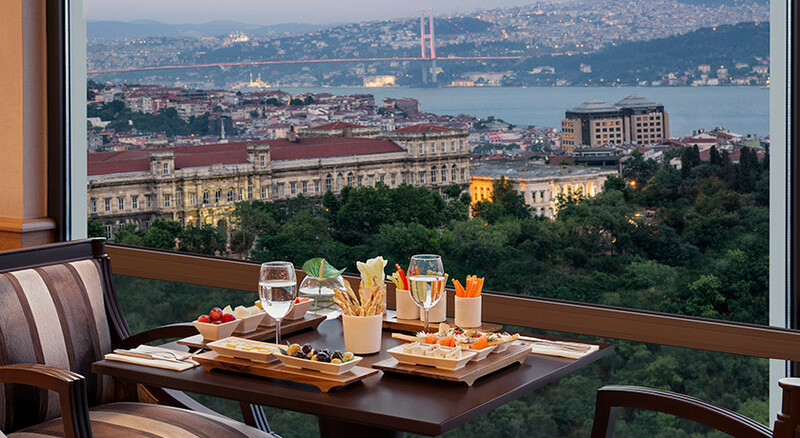 Ciragan Kempinski Palace attracts attention with its rooms inside a real Ottoman palace and there are restaurants inside the hotel, all of which offer offer an amazing Bosphorus view. Tugra Restaurant that offers Turkish and Ottoman dishes, Gazebo Lounge, Laledan Restaurant and Bosphorus Grill are the restaurants that you can enjoy your meal at Ciragan Palace Kempinski. You are also recommended to end your day in Le Fumoir in the Eastern Garden of Ciragan Palace. Conrad Istanbul Bosphorus serves its customers with its 76 suite rooms in 9 different styles and it’s located on Besiktas Yildiz Yokusu (Besiktas Yildiz ramp). The hotel is a 15-minute walk away from the center of Besiktas and it was renovated in Mediterranean architectural style in 2012. You can enjoy premium dishes from Mediterranean kitchen at Manzara Restaurant or spend a nice time at Summit Bar & Terrace which is one of the most popular bars in Istanbul. The bar is on the 14th floor and it offers a nice Bosphorus view. The renovated health club of Conrad Istanbul, indoor and outdoor pools, fitness center, studio, Turkish bath, and clay court are the facilities for the guests of Conrad Istanbul Bosphorus. Another hotel by the Bosphorus is Four Seasons Bosphorus Hotel in the 19th-century style and it is in rivalry with Ciragan Kempinski Hotel. Four Seasons Bosphorus offers a nice Bosphorus view in a historical atmosphere like Ciragan Kempinski. The hotel boasts 170 rooms in a modern style. 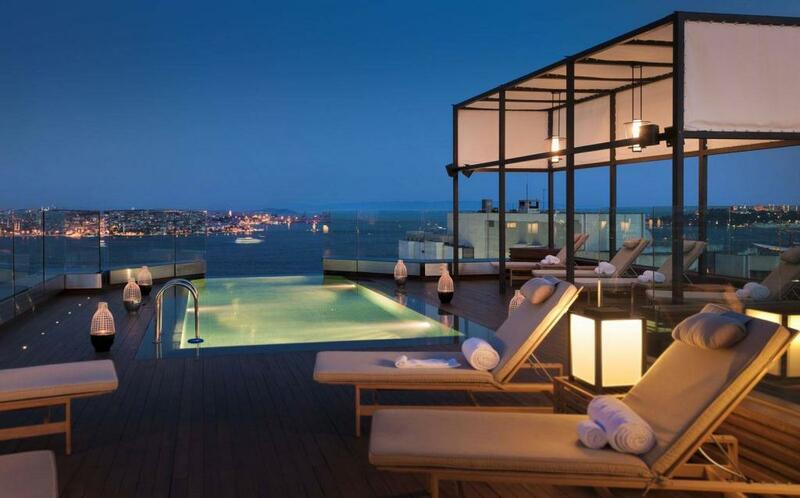 Four Seasons Bosphorus offers heated indoor and outdoor pools, a spacious terrace and a garden. You can also find a fitness center, Turkish bath, hairstylist, health center and a car park at Four Seasons Bosphorus. Additionally, you can enjoy dishes from the Mediterranean and Turkish kitchens at Aqua Restaurant that offers a nice Bosphorus view. Four Seasons Bosphorus is 24 km from Ataturk International Airport. You should also note that pets are not allowed at Four Seasons Bosphorus. The Marmara Taksim is a symbol of Taksim Square and it overlooks the Bosphorus and Golden Horn. It was opened in 1976 and renovated in 2011. The hotel is a minute walk away from Taksim Metro Station and The Marmara Taksim boasts 75 rooms. The hotel offers various options to drink and dine. While you can try different dishes at Tuti Restaurant, you can have your drink and appetizers at Lobby Lounge at the entrance of the hotel. The hotel also has an outdoor pool terrace. Additionally, you can enjoy Turkish bath in the spa section too. 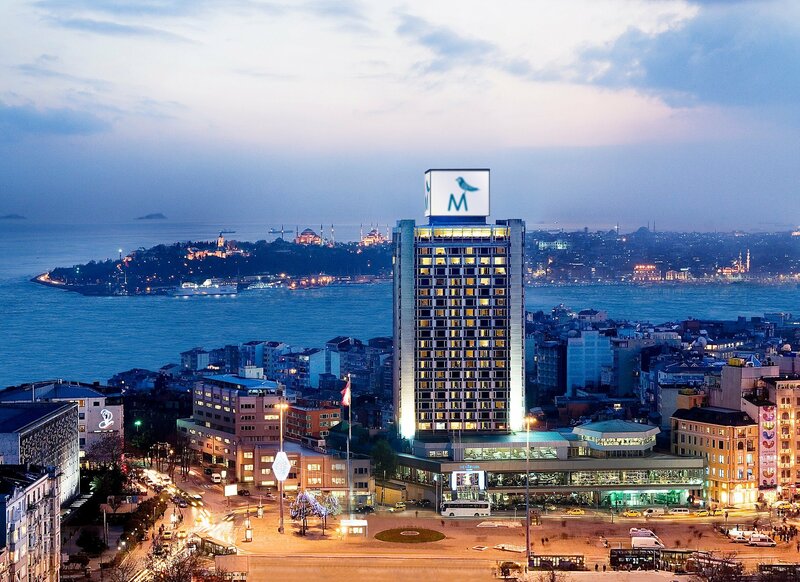 The Marmara Hotel is definitely one of the Best Hotels in Istanbul with Bosphorus View.